Bojana Ristevski was born in 1985 in Belgrade. 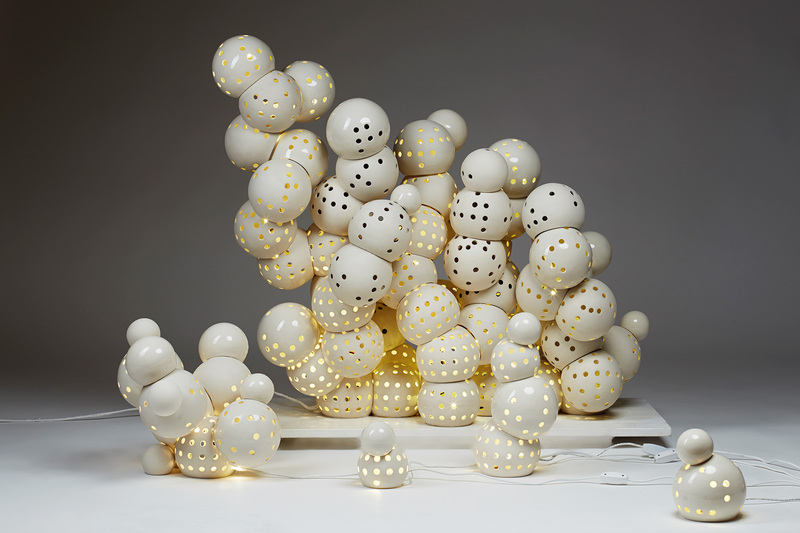 She graduated from the ceramics department at the Faculty of Applied Arts and Design in Belgrade in 2009. Since then she has participated in many exhibitions and projects both in Serbia and abroad. “The point of departure in my work is drawing. 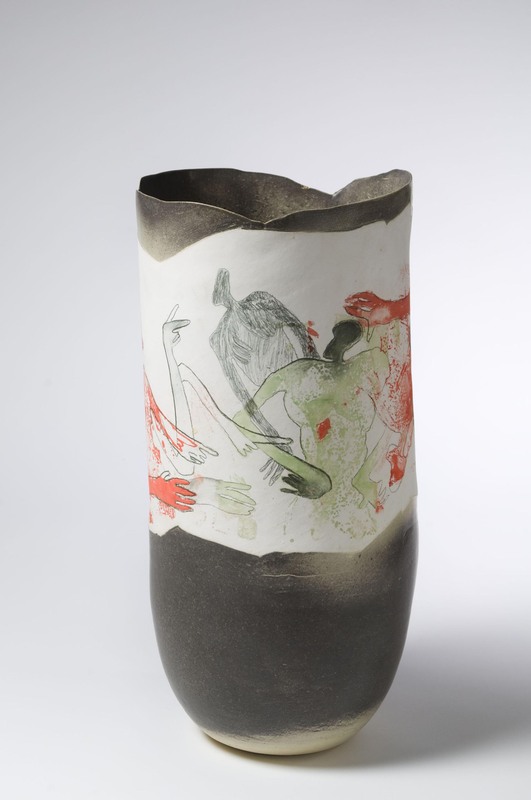 I try to transpose my drawings into ceramics. So you could say that drawing and form are my means of expression. I use a white surface for it to be clear and clean for the drawing. I like to build a form and play with it, searching for the right proportions and decoration, and getting the form back into its right position. I try to be personal in my work but the themes are changing, though the central inspirations remain: people, animals, food and my relationship towards them. 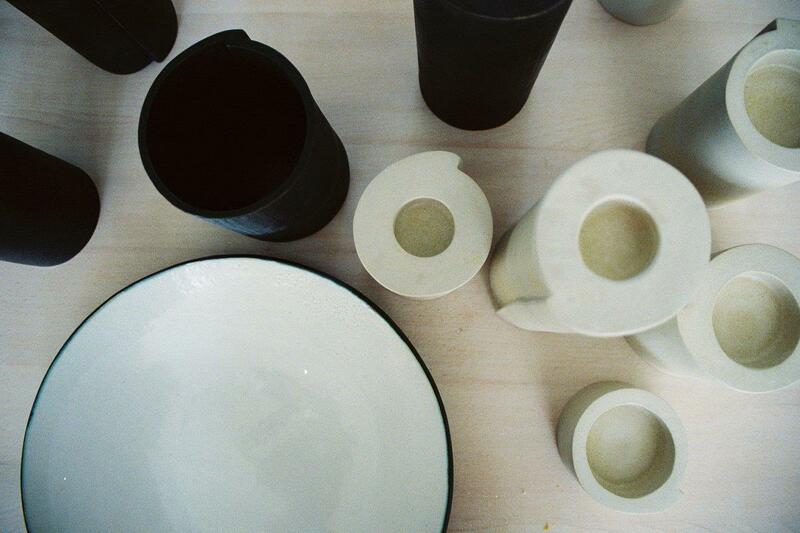 Graduated from the ceramics department at the Faculty of Applied Arts and Design in Belgrade in 2003. She acquired the status of an independent artist in 2003 and has been teaching in the ‘Tehnoart’ professional school in the department of pottery. ‘My work is primarily oriented in two directions. First is the design of home-ware, based mostly on minimalist basic geometry – circles, cylinders, cubes etc., that have a multi-purpose character. This means that a cylinder may represent a vase, a candle-holder or a pot in one collection of items, all depending on the proportional relations of their simple geometry. I prefer earthy, natural colouring and an accent on subtle textures, comprised of text or other abstract shapes. Apart from home-ware, I’m involved in making porcelain jewelery and accessories in combination with other materials such as rubber, wood, silver and other metals. The other aspect of my work is panel ceramic paintings. I experiment with various techniques and colouring on two-dimensional and mildly three-dimensional surfaces, raku and porcelain being the most common. I like the unpredictability of raku in combination with porcelain’s clarity and it’s susceptibility for rich textures.